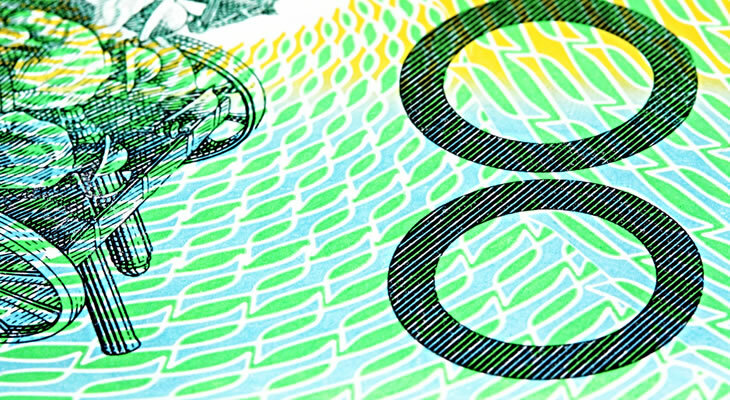 The Pound Sterling to Australian Dollar (GBP/AUD) exchange rate shrugged off a disappointing monthly UK gross domestic product figure, holding onto a modest uptrend. While growth stagnated on the month in August this was accompanied by an upward revision to July’s figure, easing concerns over the likely strength of the overall third quarter GDP reading. A more resilient rolling three-month figure offered support to Pound Sterling (GBP), with growth in the three months to August clocking in at 0.7%. ‘The economy continued to rebound strongly after a weak spring with retail, food and drink production and housebuilding all performing particularly well during the hot summer months. However, long term growth continues to lag behind its historical trend. Even so, if the UK economy continues to demonstrate signs of weakness in coming weeks the mood towards the Pound is likely to sour once again. A modest rebound in the Westpac consumer confidence index was not enough to shore up the Australian Dollar (AUD), meanwhile. Although the index posted a 1% increase on the month in October worries over the outlook of the Australian economy remain. As trade tensions between the US and China are still elevated the appeal of the risk-sensitive Australian Dollar has naturally declined. Further weakness may be in store for AUD exchange rates ahead of the weekend if August’s home loans figure contracts as forecast. Evidence of weakening domestic confidence would leave the Australian Dollar open to further losses, especially if investment lending also shows a decline on the month. Unless market risk appetite picks up significantly AUD exchange rates are likely to remain biased to the downside in the days ahead. Mounting tensions ahead of the critical October EU summit are likely to increasingly weigh on GBP exchange rates, with markets still wary of the prospect of a no-deal Brexit. Without signs of progress towards a deal the appeal of the Pound will remain generally limited as the time left for the two sides to reach an agreement continues to diminish. Although domestic political jitters have eased in the wake of the Conservative Party conference any fresh discontent directed at Theresa May could also drive the GBP/AUD exchange rate lower. As long as the risk of the UK leaving the EU without a deal persists Pound Sterling may struggle to hold onto any sense of bullishness for long. Further volatility is anticipated ahead of September’s inflation data, meanwhile, which is likely to drive the Pound Sterling to Australian Dollar (GBP/AUD) exchange rate further away from its recent highs.